C&I’s thinking and progress to address the physical health needs of our service users alongside their mental health requirements is being showcased at a major European psychiatry conference. Our innovative approach to better screening for service users for physical health issues such as smoking, blood pressure abnormality, prediabetes and obesity has been selected for a daily presentation slot at this year’s European Congress of Psychiatry, being held in Warsaw, Poland. The conference is organised by the European Psychiatric Association and is the most prestigious psychiatric gathering of its kind internationally, held this year under the theme of “Psychiatry in Transition – Towards New Models, Goals & Challenges”. 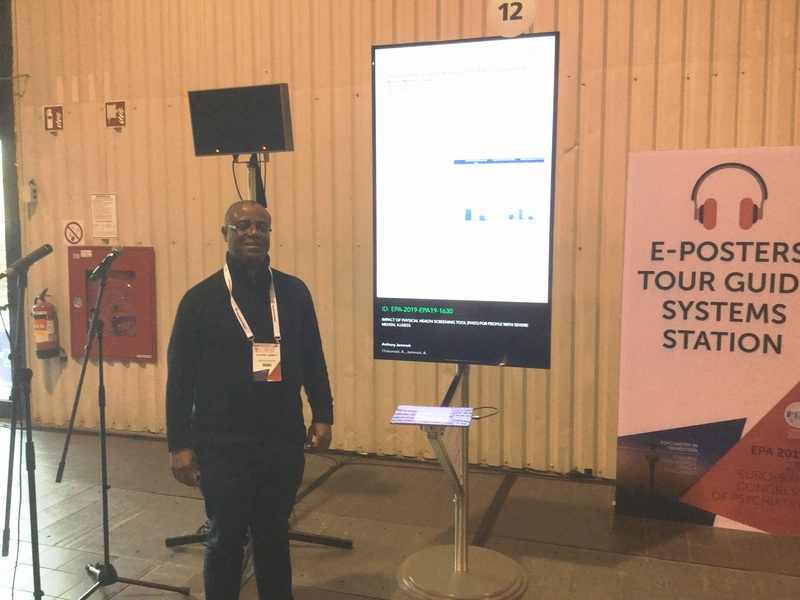 On each of the conference’s four days, Anthony Jemmott, Community Matron in our Camden Recovery & Rehabilitation Team, is presenting via digital poster - click here to see - C&I research showing the significant benefit that a specially-developed Physical Health Screening Tool (PHST) has had in pinpointing physical illness in those with severe mental health conditions. For such service users, life expectancy can be as much as 20 years lower than the rest of the population and helping treat and prevent physical health issues can be vital in providing a better quality of life. Analysis undertaken by Anthony and UCL MSc student Aayushi Chaturvedi, and summarised in poster format for the Warsaw conference found the C&I-developed tool was faster and more effective than traditional screening tools such as the Physical Observation Tool and Physical Health Assessment. Rob Murray, Director of C&I’s Recovery & Rehabilitation Division, said: “This is a great accolade to be selected for a high profile platform at a major academic conference to demonstrate our leading approach to pinpointing service users with severe mental conditions who also need care and help with their physical needs.